If you flew American Airlines over the holidays, you may have noticed a spiffed up issue of in-flight magazine American Way tucked into the seat in front. 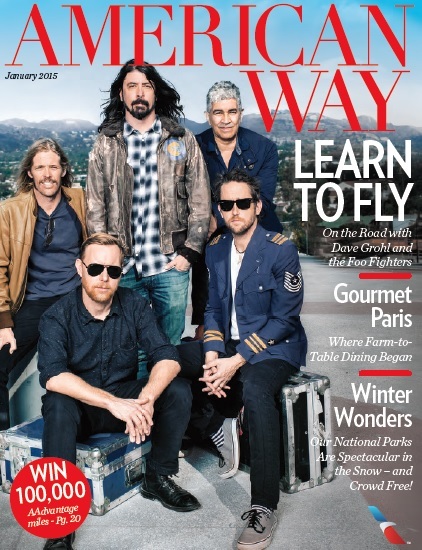 That’s because the January 2015 issue, with Dave Grohl and the Foo Fighters on the split-run cover (the other shows just Grohl), heralds a major re-engineering. American in September announced its partnership with global travel media company Ink to relaunch the monthly magazine with a mix of entertaining and informative content and a fresh eye on design. American Way‘s updated look includes new sections such as POV, in which the magazine’s writers and editors offer their opinions of cultural, lifestyle and travel trends. Another new section, Maps & Legends, each month will reveal a writer’s unique look at a travel-related topic. The inaugural section features the best BBQ joints in Texas, according to a bona fide aficionado – Daniel Vaughn, the barbecue editor of Texas Monthly. As part of the relaunch, there is now for the first time an American Way mobile App. 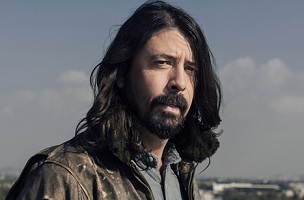 Check out executive editor Adam Pitluk’s interview with Grohl here.